Admissions are OPEN for MBBS Program September 2018 Intake. FlyUp Consultants are the Representative of Hunan Medical University in Pakistan. According to the Latest Rules of MOE China since ( June 2014 ) Every Student of MBBS (Clinical Medicine) will study Chinese Language 6-7 Months and after Clearing HSK ( Chinese Proficiency Test ) Student will continue study as MBBS Student. MBBS Degree will be Awarded after 6 years Including 1st year of Chinese Proficiency. In 1st year More Emphasis will be on Chinese Language alongside the Medical Subjects. After Clearing HSK University will Start Medicine Subjects according to the Rules and Regulation of Ministry of Education China. The Hunan University of Medicine is a Pioneer oldest University in Hunan University Start the Foreign Students MBBS Project in 2008. 3 Batches with more than 195 Pakistani students ( Boys & Girls ) have been Graduated from Medical College of Hunan University of Chinese Medicine. More than 260 Foreign Students from Pakistan, Afghanistan, Zambia, Nigeria, Ghana, Sudan, USA , Saudi Arabia , Malawi are Studying in MBBS Program. Hunan Medical University is recognized by WHO ( World Health Organization ) , IMED ( International Medical Education Directory ) and Students Can get NOC of PMDC ( Pakistan Medical & Dental Council ) if the Student have 60% marks in Fsc ( Pre-Medical ). Separate , Furnished hostels for Students and very better , Safe , Extra Secure environment for Girls. 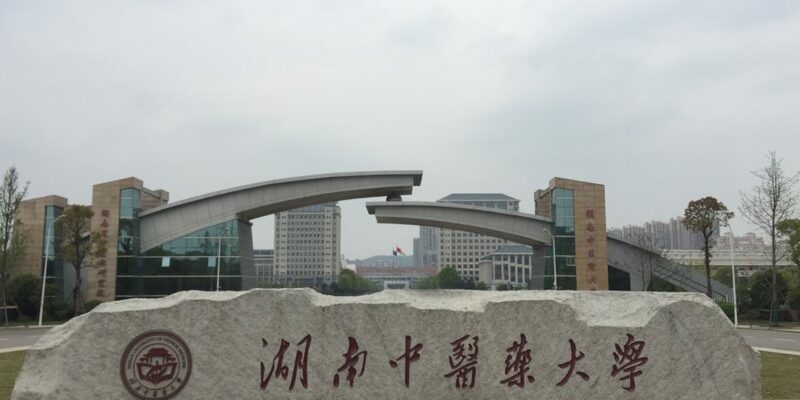 Hunan Medical University have 3 Affiliated and 10 non-affiliated hospitals where students can do practice and internship on behalf of University.